Close to Tokyo and known for its extensive port and greenery of Sankei-en, Yokohama is a major city and known for its rather cosmopolitan life style. You can expect to find plenty to do in Yokohama, whatever the time of year, although don't be put off by the size of this vast city and its 3.5 million inhabitants. Yokohama is far less chaotic and more relaxed than nearby Tokyo and has become known in Japan for its high concentration of shrines. 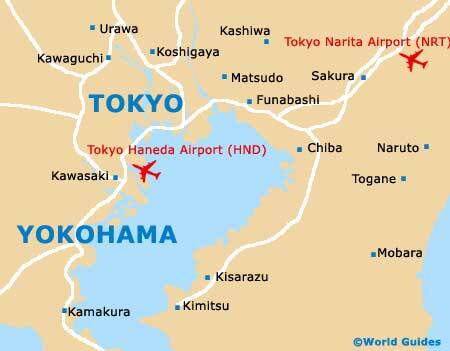 When sightseeing in Yokohama, you will soon discover that many of the best attractions are a fair distance from Yokohama Station itself. Instead, it is worth using either Kansai Station or Sakuragi-cho Station, although the relatively new Minato Mirai subway line has become particularly convenient. 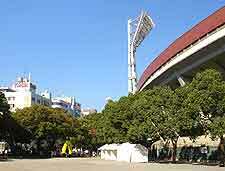 Several good sources of information about city life and the main attractions are located around Yokohama, including the first floor of the Landmark Tower building within the city's acclaimed Minato Mirai 21 complex. 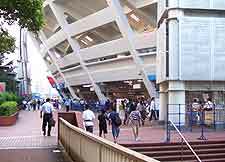 Here you will find a large number of computers offering free access to the web, along with a popular information centre, dispensing the invaluable Yokohama City Guide booklet. The Minato Mirai 21 Information Centre features plenty of English-speaking staff and is located close to the northern exit of the busy Sakuragi-cho Station. Where is the train station? - eki wa doko ka wakarimasu ka? What time does the train depart? - densha wa ni nanji ni demasu ka? The currency used in Yokohama and all over the country is Japanese Yen, which is an important reserve currency after both the US dollar and Euro. Coins are split as Y1, Y5, Y10, Y50, Y100 and also Y500, while notes come in the denominations of Y1000, Y2000, Y5000 and Y10000. ATMs are located at major banks all around the city and accept most credit and debit cards, including Visa, MasterCard, American Express and Diners Club.